I was chosen to photograph the Arizona portion of the project based on my previous body of work and proximity to great locations throughout Arizona. One of the best things about being a Phoenix, Arizona photographer, is that I am centrally located and often photograph throughout the state in locations such as Tucson and Flagstaff. We had evaluated a number of different locations around the state as potential options. Devil’s Bridge in Sedona, was chosen as the final location because it is a well known trail with amazing views that leads to the largest natural sandstone arch the in Sedona area of the Coconino National Forest. 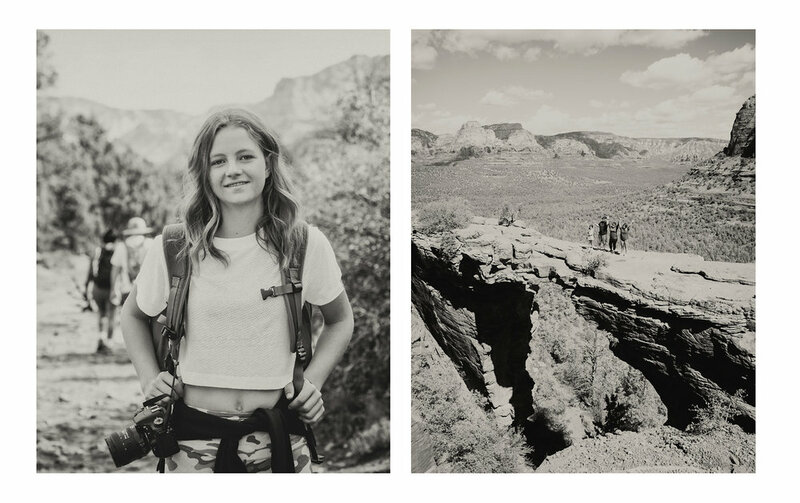 I photographed portraits of hikers on the trail and at the scenic Devil’s Bridge overlook. 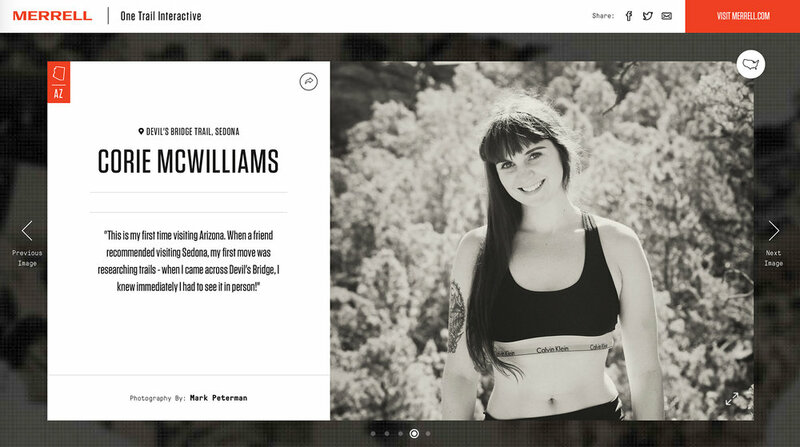 It’s nice to see the final result on the project website, in print, and exhibition form.